Season starts Tuesday, September 4, 2018 through Monday, May 13, 2019. Stroke fundamentals/technique via fun & challenging drills & games. Refining stroke technique, shot tolerance, ball control, balance, point play. 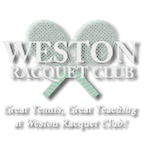 Focus on styles, strategies, tactics, patterns, mental skills, team practice for USTA match competition. Strategies, mental skills and match play to prepare for Varsity HS tennis and beyond. Strategies, mental skills, & match play to prepare for Varsity HS tennis and beyond. Note: HP clinics include free same day walk on court time.